• Engraveable Foil Asset Labels. Mark your asset labels with a permanent message. The soft surface lets you mark foil asset labels with a pencil or pen, but your message lasts long after the ink washes away. • Self-Laminating Prop ID Tags. 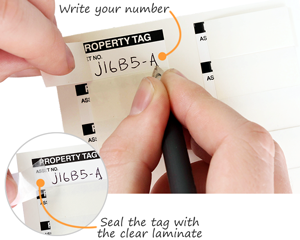 Seal in your own writing with the label’s built-in self-laminating flap. Your hand written information is protected from chemicals, vandals and abrasion. • Economy Write-On Labels. Save money. 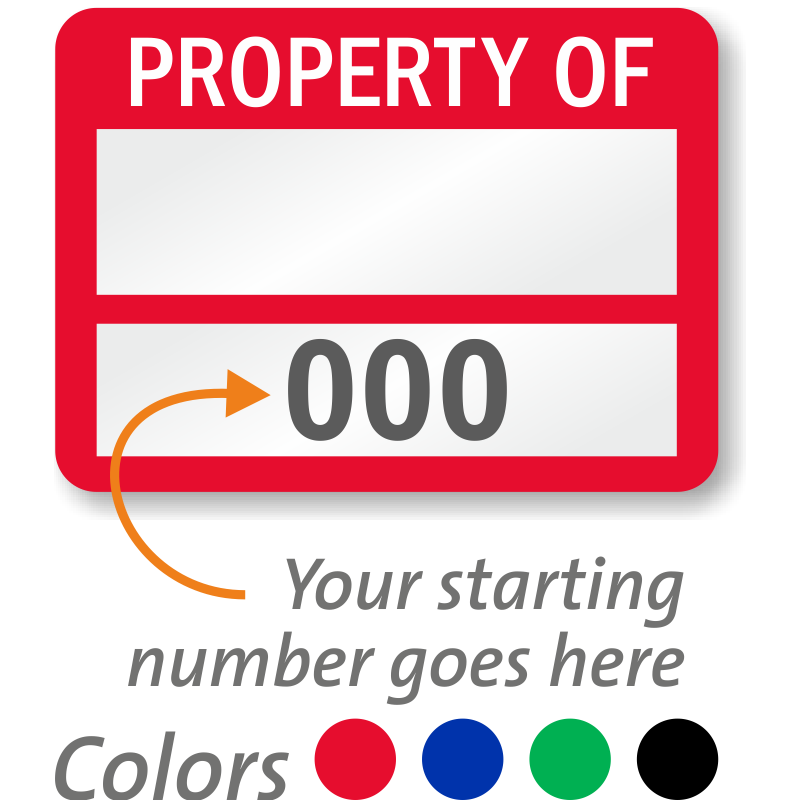 Write in your asset number or company name. 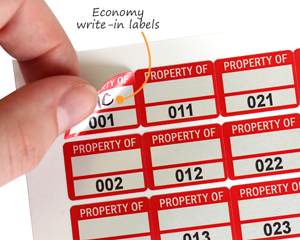 • For a greater range of asset in-stock labels, make sure to see our low cost pre-numbered and barcoded asset labels and our full range of in-stock numbered and barcode labels. Select between our Aluminum Foil or Destructible Vinyl materials. Aluminum Foil is moderately durable and annealed for conformability, while Destructible Vinyl breaks into tiny pieces when removed. 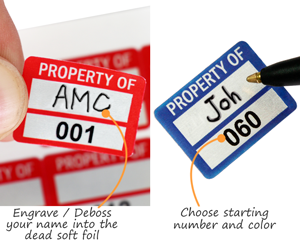 These labels are available in 4 colors: Red, Blue, Green and Black. Choose your color and starting number in the next step. 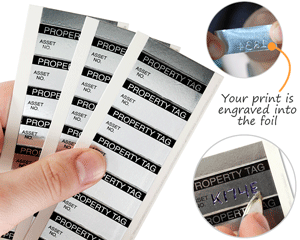 Dead soft aluminum foil labels are hand engraveable or debossable. Calibration Label, 5/8" x 1½"
Vinyl labels feature an aggressive adhesive and provide a low cost way to identify your property.